Just print this cute candy apple printable sheet out and let the kids write down what their prayer request is. Hang their prayer request up on a bulletin board and pray for each one of their prayer requests. Let the children pray for each one too. 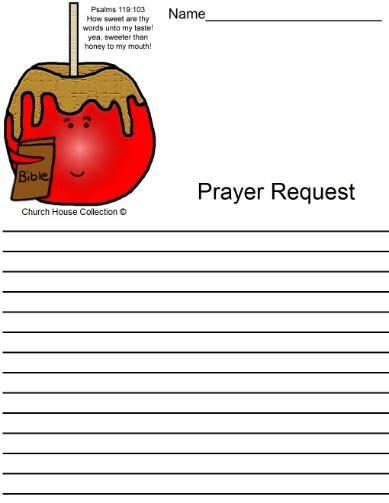 If the child doesn't want everyone else to know thier prayer request have the write down "UNSPOKEN PRAYER REQUEST" on their paper. That way they won't fill embarrassed about anything if they have a special need.